The Prime Minister's peace deal was supposed to end decades of conflict in Tasmania's forests but protests are continuing. Now, a London company is boycotting timber products from the island state. Last month it emerged timber from Tasmanian forests was being used on London Olympic building sites. The purchaser of the timber products says it will no longer buy the Tasmanian timber from Ta Ann products due to lobbying by activists. That has infuriated the company, industry and the State Government. Tim Birch from Markets for Change was among the environmentalists who flew to London. "Our investigations working with environmental groups in Tasmania clearly has shown that Ta Ann continue to source products coming from these vital forests, and so we went to London to visit a number of companies to inform them of exactly what was happening." While the Prime Minister's peace deal does say there should be no logging in these forests, the areas are still being assessed to determine if they are actually high conservation value. Forestry Tasmania says that under the deal it is allowed to keep logging in these areas to supply Ta Ann. Nevertheless Ian Attwood, the managing director of International Plywood which bought Ta Ann's timber for the Olympics says his company is now boycotting Ta Ann's products. "The reason we've stopped or we've suspended purchasing from Ta Ann is mainly because of the controversy around the logging in Tasmanian forestry," he said. "The NGO's will have to be happy with any changes that they can make to enable the product to be purchased by us again." Mr Attwood says he was concerned by what he heard from two activist groups: Markets for Change and the Huon Valley Environment Centre. "We're not there to, you know, to savage the forests. We're here to try and buy product in a responsible manner." That is hotly contested by Forestry Tasmania, Ta Ann and the Tasmanian Government. The company's products are certified as sustainable under the international PEFC scheme. David Ridley from Ta Ann is overseas, however his manager Greg Hickey says the company's practices have been misrepresented. "It is concerning that they're going and targeting our customers, mainly because of the certification that we have which points to our environmental credentials." "Our real concern is that if our customers don't buy from us then they're going to buy from potentially illegally-logged sources." 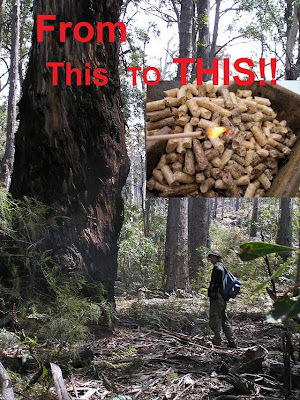 Ken Jeffreys from Forestry Tasmania has attacked the green groups for targeting Ta Ann's customers. "We're talking about a situation here that is reminiscent of the 1930s, where if you didn't pay protection your shop was burnt the next day." "Now the same is occurring today. The activists go these companies, they say unless you do what we want, we're going to blackball your products." AM also has a letter Tasmania's Deputy Premier Bryan Green wrote to International Plywood urging them to continue buying timber from Ta Ann. Mr Attwood says he found the arguments of the activists more persuasive. Clearly the battles of the past are far from over despite the forest peace deal. International Plywood, a major UK importer of plywood from Ta Ann’s Tasmania operations has told the Australian ENGO Markets for Change that they will not be purchasing any more timber from Ta Ann while the controversy around ongoing logging of Tasmania’s High Conservation Value (HCV) and old growth forests continues. “Markets for Change is encouraged that the international market is so concerned about the ongoing destruction of Tasmania’s high conservation value forests that International Plywood from the UK has taken the decision to no longer buy Ta Ann Tasmania’s plywood product. It is significant that even though Ta Ann had PEFC (1) certification for this product the market has still rejected it as it is sourced from such valuable forests,” said Tim Birch CEO of Markets for Change. “This decision by International Plywood sends a clear message to Ta Ann that their association with the destruction of Tasmania’s high conservation value forests is bad for business. Ta Ann can no longer claim that their veneer product is sourced from plantations and sustainable regrowth forests. They must take immediate steps to remove identified high conservation forests from their supply chain,” said Will Mooney from Huon Valley Environment Centre. Following the release of this research Markets for Change contacted a number of UK companies involved in the supply of Ta Ann Tasmania veneer plywood to the UK market. International Plywood UK were surprised when evidence was provided by MFC and Huon Valley Environment Centre showing Ta Ann Tasmania were sourcing wood products from high conservation value forests as they were under the clear impression that they were purchasing wood products from Ta Ann that came from plantations. Even a recent letter from the Deputy Premier of Tasmania, Brian Green to International Plywood UK urging them to continue buying from Ta Ann Tasmania did not persuade the company to continue purchasing veneer plywood from Ta Ann Tasmania. Markets for Change will continue its campaign, nationally and internationally, to urge the market to reject wood products coming from High Conservation Value forests and instead trade in wood products sourced from ecologically responsible plantations. Markets for Change is committed to supporting an Australian forest industry based on well managed FSC certified plantation products. Such a plantation based timber industry will ensure long term secure jobs for workers and the protection of native forests. 1. The Programme for Endorsement of Forest Certification (PEFC) has been widely criticised by international environment groups as it is not an indicator of acceptable environmental standards and does not safeguard high conservation value from ongoing logging. The East Gippsland rainforest case will be adjourned today, with the temporary halt to logging extended until late January. "This is a good outcome", said Jill Redwood from Environment East Gippsland. "Our lawyers have filed some very impressive court documents to show that the forests are within the boundaries of a National Rainforest Site of Significance." "We look foreword to going to court in January, to seek permanent protection for the forests." "It is just incredible that in this day and age, that a small local environment group has to take on a government agency to prevent the illegal logging of a National Rainforest Site of Significance. Most of the developed world knows the value of forests and rainforest, but the Baillieu government doesn't." New South Wales Environment Minister Robyn Parker is moving to amend laws which will allow Forests NSW to harm the endangered population of the yellow-bellied glider on the state's far south. The documents show Ms Parker is planning changes to the Threatened Species Conservation Act which "authorises harm to the endangered population of the yellow-bellied glider of the Bago Plateau". Opposition environment spokesman Luke Foley says it is disgraceful. "Robyn Parker said logging protects koalas, she is now moving to allow logging of habitat of endangered yellow-bellied glider," Mr Foley said. "The yellow-bellied glider is facing the very real risk of extinction and the NSW Environment Minister is doing everything she can to wipe out this endangered Australian marsupial." In 2008 the NSW Scientific Committee warned the yellow-bellied glider is "facing a very high risk of extinction…in the near future". Ms Parker has dismissed the concerns. "An amendment has been made to reflect updated information about the habitat preferences of the yellow-bellied glider," she said in a statement. “This amendment restricts Forests NSW logging to areas of low quality yellow-bellied glider habitat on the Bago Plateau. 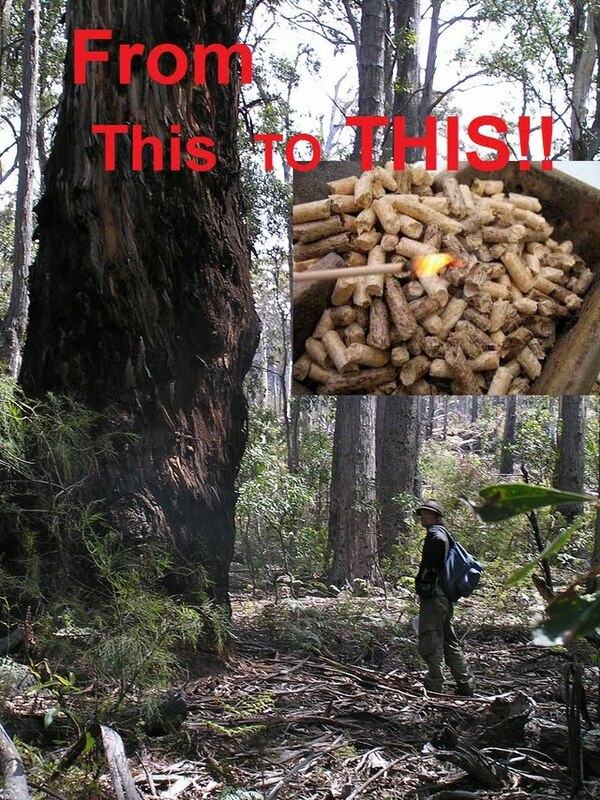 In an unprecedented court case South East Forest Rescue took an action against South East Fibre Exports (SEFE) and Bega Valley Shire Council in the NSW Land and Environment Court two weeks ago for building a factory that makes wood pellets from native forest trees. SEFE is a joint venture between Nippon Paper Industries Co Ltd and Itochu Corporation. SEFE operates the woodchip mill near Eden and is a major exporter of woodchips which come from forests from Nowra out to Tumut down to East Gippsland in Victoria. Wood pellets are commonly used to fuel wood-fired power plants. Bega Valley Shire Council granted the development consent in June, despite much opposition from the community, despite the factory being much bigger than the application originally stated and despite being advised by SEFR that if the council consented they would be in breach of the law. SEFR also advised SEFE on the day of consent not to begin building the pellet factory as SEFR would be taking legal action. The court case began on 2 September. The decision handed down on Friday stated that the pellet factory, which has already been built despite being warned not to proceed, has been invalidated. It was found that Council did not consider the public submissions, the principles of ecologically sustainable development and the zoning of the land. The Court’s decision reveals an arrogant approach by BVSC which has now been revealed as unlawful. This means that South East Fibre Exports must not operate the factory or process wood for it. Any action SEFE take from here will be deemed unlawful. The public are tired of the woodchipping industry being a law unto themselves. Further the local government and the State government have been co-opted into this corruption of due process. This case shows that any decision maker must take the public wishes and the principles of ESD into account. Burning native forests for electricity or using them for wood pellets is one of the greatest threats to the forests of the world. The Commonwealth government has announced that forestry will have to start accounting for its greenhouse gas emissions but that wont happen until at least 2015. VICTORIA'S newly empowered state-owned timber agency is facing a legal writ over claims it is illegally logging protected stands of rainforest in the state's far east. Conservation group Environment East Gippsland has filed a writ in the Supreme Court accusing VicForests of logging a protected site of significance for rainforests. 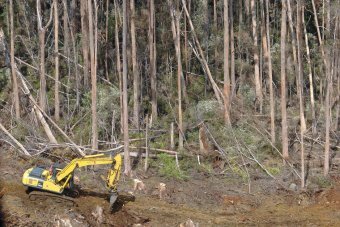 VicForests is contesting the claim, and has given the court an undertaking it will not log the disputed area before a hearing on Tuesday. The writ comes a day after the Baillieu government released a plan that significantly expanded VicForests' authority. In a short hearing yesterday, Environment East Gippsland submitted government maps showing the area was protected as a site of national importance. VicForests told the court it accepted that the maps were from a government website, but said they were out of date. It said a review of the boundaries had moved the border of the protected area. The Department of Sustainability and Environment backed VicForests' statement. ''The northern boundary of the site has not been updated in the biodiversity interactive maps available on the [department] website. This is being corrected,'' spokeswoman Brigid Ennis said. Environment East Gippsland secretary Liz Ingham said the explanation was ''suspiciously convenient''. A spokeswoman for Agriculture Minister Peter Walsh said the court would determine whether the action against VicForests was warranted. ''It is unfortunate that in the court of public opinion VicForests is rarely granted the presumption of innocence,'' spokeswoman Stephanie Ryan said. The latest court challenge to the timber industry follows days of protests holding up workers in the disputed area. Environment East Gippsland last year won an indefinite injunction over logging about 100 hectares of native forest at Brown Mountain, near Orbost, after its campaigners showed that it was home to endangered species. Mr Walsh this week released a timber industry plan designed to guarantee a long-term future for the native forest industry, including boosting the length of timber contracts from five to 20 years. VicForests was given sole responsibility for calculating how much timber can be sustainably harvested. It will be monitored and audited by the Department of Sustainability and Environment. JUST as we were deriving some meagre encouragement from the Durban talks, along come our governments to bring us back to reality (''Dirty power plant rules abandoned'' and ''Timber gets long-term commitment'', The Age, 14/12). PROVIDING longer-term contracts to customers of VicForests will surely help build business confidence in much of Victoria. For decades state governments have reduced the amount of forest available to the industry. Sometimes this was for ecological reasons based on good science. Sometimes it was for political reasons. This plan, from what I can tell, will not increase the amount of forest available to the industry. What it will do is provide a clear and effective regulatory framework for forest management and wood supply. We also have to recognise that the forest and wood products industry is largely a manufacturing industry, exposed to the high Australian dollar and cheap imports. As the seventh most forested nation in the world, it is a joke we have a $1.9 billion trade deficit in wood and paper products. Hopefully this policy helps fix this. BRAVO, Baillieu. You have surpassed even my wildest expectations with your disregard for our ecosystems and the species endemic to them with your new forestry plan. Not only does it prove your unwavering dedication to the destruction of Victoria's native forests, it shows you have no desire to move towards a sustainable future. Not even Victoria's faunal emblem will have a place in Victoria. I will, however, compliment you on coming through with your transparency. With VicForests taking ''sole responsibility for calculating the amount of timber that can be sustainably harvested'', corporate control of our government could not be clearer. THE latest timber industry plan basically turns the native timber industry into an expensive social security system to help prop up jobs in a handful of National Party seats. It appears that the limited environmental controls over logging and protection of biodiversity are to be wound back, and that Agriculture Minister Peter Walsh is even considering allowing some types of logging (thinning operations) into national parks. Given the non-compliance with environmental regulations these thinning operations have recorded in recent years, it is unbelievable that any competent minister would extend such operations in national parks. This policy is further evidence of the government's anti-environment stance. SAFEGUARDS for the protection of Victoria's natural environment have been in decline since the Baillieu government was elected and now the destruction is set to get worse (''Timber gets long-term commitment'', The Age, 14/12). It is clear the National Party is driving environmental policy in this government. Poor old Environment Minister Ryan Smith has been put in a box while the National Party runs riot. Some of the best conservation gains in Victoria were as a result of the vision and leadership of the Hamer Liberal government in the 1970s. Ted Baillieu is trashing his mentor's legacy because he is dependent on the National Party to hold government. Environment East Gippsland presented the Court with official Victorian Government maps to show that the disputed area is a protected National Rainforest Site of Significance. VicForests submitted that the maps were wrong, and that the government department was scrambling to move the boundaries on the official maps before Court resumes next Tuesday 20 December 2011. "It's a huge win for the forests today", said EEG secretary Liz Ingham who attended the court. "The Court stopped the logging in the nick of time, to prevent a rainforest reserve being logged." "VicForests blamed the government, saying the rainforest reserve maps were wrong. This is a suspiciously convenient excuse", she said. "For a very long time, the government has presented the public with rainforest reserve maps. They didn't alter the reserve boundaries when VicForests moved in to log the reserve. They only decided to move the reserve boundaries after our non-profit community environment group took VicForests to court. How convenient. VicForests is a state-owned enterprise with Premier's brother in law on the Board." "Up here on the ground, those blockading this area hung on for their lives in the forest waiting for the result. They are absolute forest heroes", said Ms Redwood. The case returns to Court on Tuesday 20 December at 10.30am, at which time the Court will address a further halt to logging. THE government has moved to guarantee the long-term future of Victoria's timber industry, ending decades of protection of native forests from logging. A new timber industry plan substantially boosts the power of VicForests, the government-owned commercial timber agency that the previous Labor government planned to abolish. VicForests will take over sole responsibility for calculating the amount of timber that can be sustainably harvested, and will determine when and where logging takes place. Forestry companies will be offered native timber contracts lasting 20 years, up from the current maximum of five - a step to encourage investment in new mills and equipment. The government will also indemnify VicForests against the cost if a contract is broken due to changes in policy, potentially leaving the state with the legal bill should a future government want to reduce native timber logging. Other proposed changes include allowing ''ecological thinning'' of forests in reserves, parks and water catchments, and a review of timber legislation. 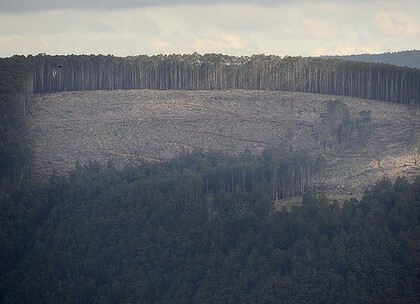 Agriculture Minister Peter Walsh said there were no plans for the amount of native forest harvested to increase, and that ecological thinning would be restricted to existing logging areas. He said Victoria's native forest timber was a ''magnificent and renewable resource'' with the potential to support a vibrant long-term industry. The plan fulfils a Coalition election commitment. It comes two months after the release of proposed regulation changes that would give the head of the Department of Sustainability and Environment the power to grant loggers an exemption from endangered species laws. Mr Walsh said yesterday that it was no secret VicForests had problems in the past, but it had undergone substantial change. He said the Department of Sustainability and Environment would continue to watch VicForests' work. Australian Conservation Foundation campaigner Lindsay Hesketh said there was a conflict between giving VicForests greater power and protecting the environment. ''It appears this is the same thing that happened with Forestry Tasmania and led to the disaster Tasmania has become,'' he said. Wilderness Society campaigner Luke Chamberlain said the plan to lock in compensation payments if a future government changed policy was ''agricultural socialism from the Soviet era''. Opposition agriculture spokesman John Lenders said the plan failed to balance the need to protect the environment and secure jobs. TONY EASTLEY: A leading ecologist has described the Victorian Government's new plan for the timber industry as 'medieval'. And conservationists say it opens a way for logging in national parks. However, the plan to open up parks and reserves to logging and extend the length of logging contracts has delighted the timber industry, which says it brings much needed security and certainty. SIMON LAUDER: Australian National University ecologist David Lindenmayer has spent 28 years studying Victorian forests. Professor Lindenmayer says they've been over exploited for decades and the Victorian Government's new Timber Industry Action Plan could be their death knell. DAVID LINDENMAYER: We're going to see the extinction of Leadbetter's Possum probably within 30 years. We're going to see forests made more fire prone. We're going to see major complications with Melbourne's water supply. SIMON LAUDER: At the moment the state government's forestry arm, VicForests, can only give companies access to timber for five years. Victoria's agriculture minister, Peter Walsh, says that doesn't give the timber industry enough certainty to invest in the future and the government plans to extend native timber contracts to 20 years. PETER WALSH: We do have a sustainable timber industry here in Victoria. It creates significant employment, particularly in country Victoria. And we are, as a government, are committed to that being a well managed and sustainable industry into the future. SIMON LAUDER: VicForests and the Victorian Association of Forest Industries say the government's plan helps secure the long-term future of the industry. The government says it will consider compensating the industry if contracts can't be fulfilled in the future. Forests campaigner with the Wilderness Society, Luke Chamberlain, says that has implications for taxpayers. LUKE CHAMBERLAIN: In five years time when they realise, 'Oh, there's no wood there' because it's burnt or it's been logged before, the public is going to have to bail them out, and that is part of this package. And it makes absolutely no sense if this government thinks they are good economic managers. SIMON LAUDER: The State government's plan includes ecological thinning in reserves, parks and water catchments. Mr Chamberlain says that opens the door to logging in state parks, protection zones and even national parks. LUKE CHAMBERLAIN: That more of our forests are going to be opened up to be logged is... (laughs) is just of great concern to us and great concern to Victorians. SIMON LAUDER: The Agriculture Minister Peter Walsh says the state government won't allow logging in national parks. PETER WALSH: This is about those areas that have already been set aside for timber production into the future being managed better so you increase the value of timber that is being produced. SIMON LAUDER: What are the "parks" that are referred to in the plan? PETER WALSH: Well, it is not national parks. SIMON LAUDER: What is it then? PETER WALSH: Well, it is those areas that have already been set aside in the public estate for timber harvesting into the future. SIMON LAUDER: Could it mean national parks in the future? PETER WALSH: It does not mean national parks. And those people who are trying to imply that it does are just making mischief. TONY EASTLEY: Victoria's Agriculture Minister Peter Walsh speaking to AM's Simon Lauder. VicForests is again being sued in the Supreme Court over what an environment group believes is illegal logging of a very significant protected rainforest area. Environment East Gippsland, which successfully sued VicForests last year, is lodging papers for an urgent injunction this morning in the Melbourne Supreme Court to stop the logging. “This is the third case of what we believe is illegal logging that VicForests will have to answer for”, said Jill Redwood, coordinator of the group. “The public thinks this type of lawless destruction of protected primary forest and rainforest only occurs overseas”. “In a proper democracy it should not be up to the public to enforce the law over an uncontrollable government entity. We should not be forced to ask the courts to ensure VicForests abides by the law. We are a developed country. We give millions to other countries to help them stop illegal logging of their rainforests. But in Victoria we are seeing the same happen with full support of the Baillieu government. Exploiting industries seem to be writing the government’s laws and policies now”. This stand of forest was blockaded for 5 days last week and was broken up by police on Monday. “It doesn’t take long for a determined crew of logging contractors to cut down the tall trees and smash down a forest of tree ferns”, said Jill Redwood “We hope this injunction will be successful”. Police this morning moved in to evict conservationists who have been halting the unlawful logging of a Rainforest Site of Significance at Errinundra Road in East Gippsland for the last five days. instead elected for police to begin dismantling the protest this morning," said spokesperson, Lauren Caulfield. four machines. Arrests are expected. "This unlawful logging operation, and the eviction of members of the public who are attempting to halt it, is happening under the watch of the Baillieu Government. We are calling on them to reign in logging agency Vicforests, and to force them to abide by the law," said David Caldwell, at Errinundra Road. Local community group Environment East Gippsland is now preparing for an urgent legal injunction should logging operations proceed. Gippsland would be permanently excluded from logging. This included all Sites of National Significance for Rainforest. Conservationists are taking action across Victoria today to expose and hold accountable the Baillieu government and Vicforests for the ongoing destruction of threatened species habitats. Conservationists in East Gippsland and in the Central highlands have halted logging operations this morning. In Toolangi, Central highlands, the group has seized four logging machines which are attached to a tree sit, 50 metres up in the tree canopy. In East Gipplsand local community members are occupying a logging coupe in their water catchment, near Bonang, in known Long Footed Potoroo Habitat. “Vicforests is responsible for logging in areas where endangered species have been recorded. The East Gippsland Long Footed Potoroo and the Central highlands Leadbeaters possum are in major decline. These areas are the last strong holds for those species and must be protected immediately,” said spokesperson for East Gippsland, David Caldwell. “VicForests continue to force the Leadbeaters possum, towards the edge of extinction. This is one of Victorias most threatened species who’s very existence depends on these Mountain Ash forests of the Central Highlands.” Luke Pavia, spokes person for Central Highlands. “The Ballieu Government has proposed to exempt such logging operations from adhering to the Flora and Fauna Guarantee Act . This will weaken the already inadequate protection laws that are supposed to ensure survival of our most vulnerable species.” David Caldwell. There is general disappointment within the wider community about unnecessary secrecy surrounding the protection of threatened species in Victorian State Forest. Vicforests refuse to make public, the results of their pre-logging, flora and fauna surveys, and have not been able to prove that adequate habitat exists in surrounding areas. They are obliged under the FFGA to do so. If these measures have not been complied with then logging operations being conducted are in breach of the Flora and Fauna Guarantee Act and are thus unlawful. Conservationists in the coupes want to be assured that these measures have been complied with before any logging proceeds.